We started the week with "Eleven Handmade Gift Ideas for Mom". 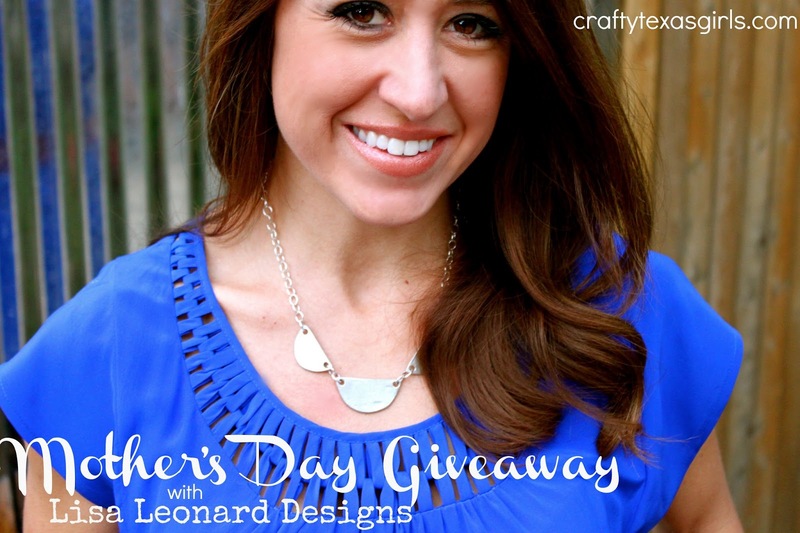 Today I am back with the first of two fabulous jewelry giveaways. I am so honored to bring you a beautiful necklace from the talented Lisa Leonard. I admire Lisa for so many reasons- she is such an inspiration to small business owners, mothers, and bloggers everywhere. 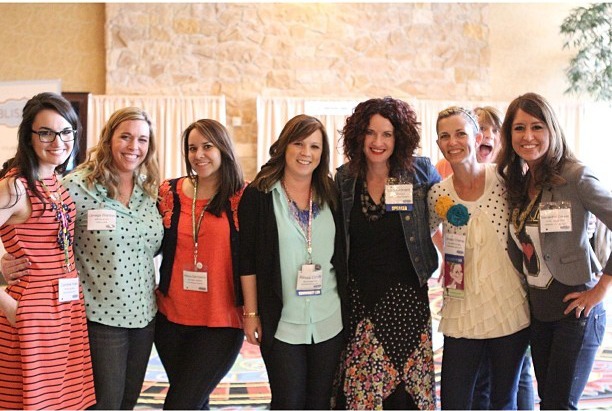 I was fortunate enough to meet Lisa Leonard at Blissdom as well as hear her speak about the importance of bloggers who share their authentic story. All this made me love Lisa even more! 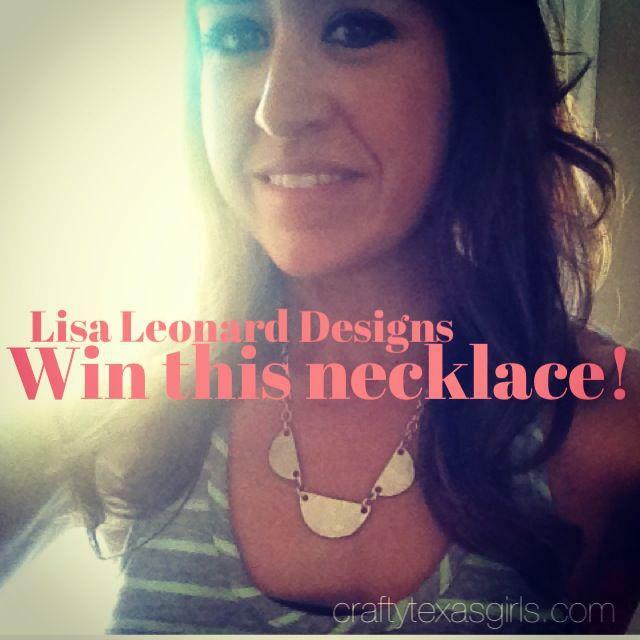 And then, imagine my delight when Lisa invited me to host a giveaway of her handcrafted jewelry right here on Crafty Texas Girls. To say I was thrilled is an understatement. I got to choose one necklace from her collection to try and keep for myself-- and then I get to give away the same style necklace to one of YOU my lucky readers. Does it get any better? 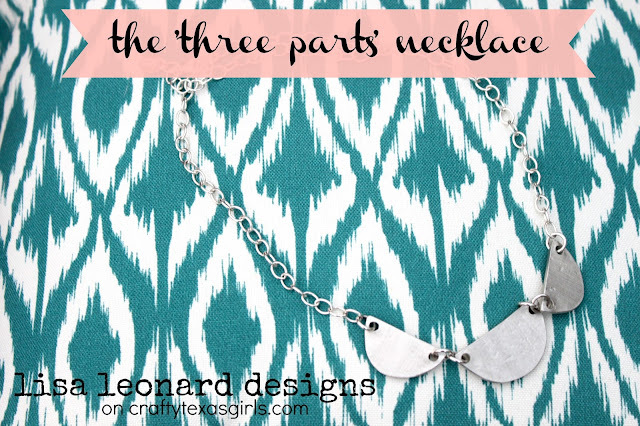 So of course- I was drawn to the "Three Parts Necklace"- the description on her site reads, "Every story has three parts: a beginning, middle and end. 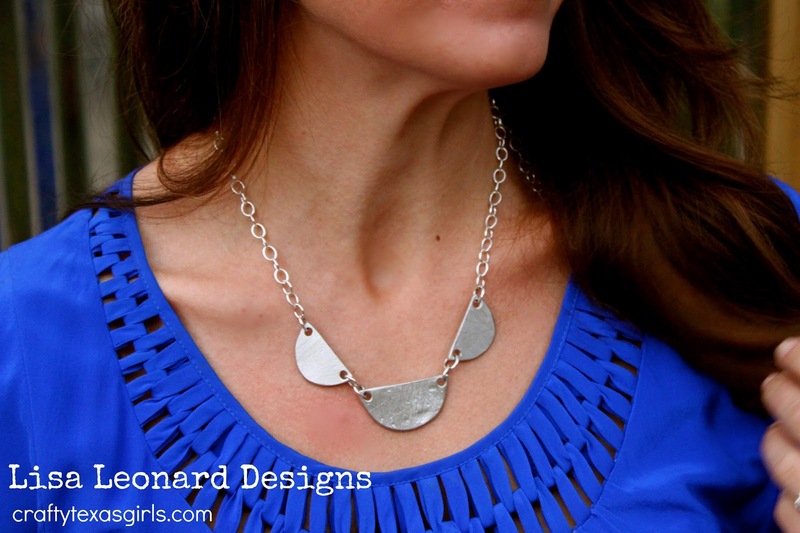 And I think this classic necklace has a pretty great story to tell—with a very happy ending." It reminded me of the presentation she gave about story telling! I like the unique style of this necklace. It kind of makes me think of party bunting too :) I have worn it alone and layered with a few other necklaces. It is comfortable, durable, and beautiful. It’s hand-molded and cast in fine pewter. Strung on a gorgeous adjustable 18''-20'' sterling-filled chain. Want to win one for yourself? Simply pop on over to Lisa's website and sign up for her newsletter, then use the Rafflecopter widget below to add your name to the giveaway. I will announce the winner here on this post next Wednesday, May 8th. 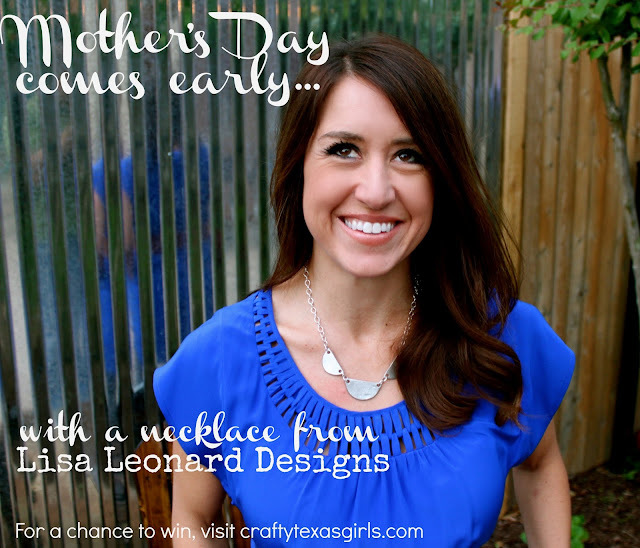 Whether you are a mom, a daughter who is hoping to win this necklace to give to your mom, or just someone who loves Lisa's designs-- this contest is for you. Mother's Day just came early! What a gorgeous Necklace! What a great giveaway! Love it on you too! Love that necklace! I've not seen that one yet. Love the necklace! Signed up to receive her newsletter!